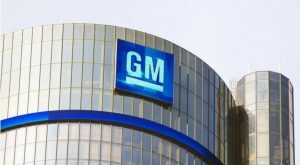 GM stock was on the rise Wednesday following the release of its earnings report for the third quarter of 2018. General Motors’ (NYSE:GM) earnings report for the third quarter of the year includes earnings per share of $1.87. This is a major increase over its earnings per share of $1.32 from the same time last year. It was also great news for GM stock by easily beating out Wall Street’s earnings per share estimate of $1.25 for the quarter. Net income reported in the General Motors earnings report for the third quarter of 2018 came in at $2.53 billion. This is better than the company’s net loss of $2.98 billion reported in the third quarter of 2017. During the earnings report for the third quarter of the year, General Motors reported operating income of $1.61 billion. The automotive company reported operating income of $1.58 billion for the same period of the year prior. General Motors also reported revenue of $35.79 billion for the third quarter of 2018. This is up from the company’s revenue of $33.63 billion that was reported in the third quarter of the previous year. It was also a boon to GM stock by coming in above analysts’ revenue estimate of $34.85 billion for the period. GM notes that strong vehicles sales in the third quarter of the year was behind its strong earnings report. This includes shipping a total of 700,000 vehicles in the U.S. during the quarter. It also saw vehicle shipments in China come in at 836,000. GM stock was up 7% as of Wednesday morning, but is down 19% year-to-date. Article printed from InvestorPlace Media, https://investorplace.com/2018/10/gm-stock-soars-on-earnings-beat/.